Viper Gen5 shown above. Shorter version. 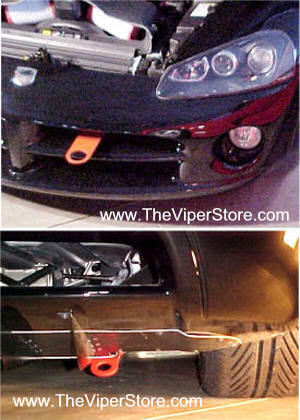 Viper SRT10 Front and Rear heavy duty tow hook set. 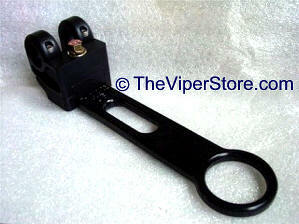 SCCA-approved tow hooks, for those days spent in the sandtraps. 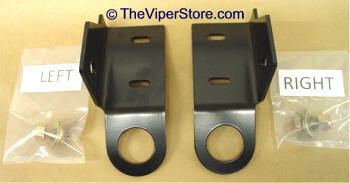 The tow hooks make for easy trailer loading without vehicle damage. 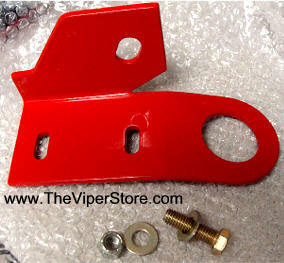 Easy bolt-on application - no drilling required.